Looking for a property in Nyay Khand I? Have a property in Nyay Khand I? 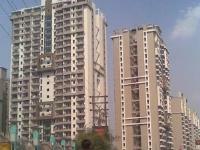 Nyay khand 1 is in in the locality of indirapuram. it is near by sai mandir and nh-24. it has effective and local area. you can find anything , usual things , groceries , cloths , etc. colonies are neat and clean. no offensive places are there. Good education facilities are also available . Some pitches re on road. Stray animals roam here and there. Attached with highway NH-24 ad-joint to Delhi 24 hrs transportation is available for everywhere, very good location along with green belt area, safety security wise very good, all basic needs are very near. Nyay Khand I, Ghaziabad is rated 6 out of 10 based on 2 user reviews. Have a good knowledge of Nyay Khand I? Share it and become a Locality expert.